Since graduating from SIUE in 2001, Kurt G. Emshousen has made good use of his CMIS degree. Less than five years after graduation, Kurt is working at KPMG-one of the Big Four accounting firms-as a manager of Information Risk Management, and he's loving it. Kurt is the first to say that his time at SIUE put him on the road to success. 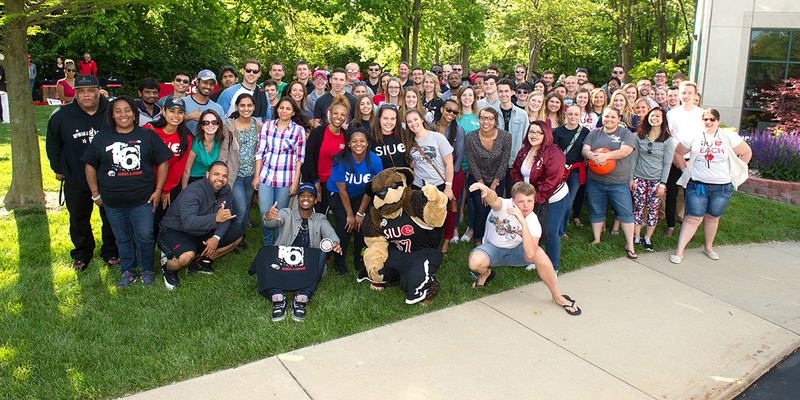 "What is so unique about SIUE is that even with a CMIS degree, I received a broad education in business. I don't know of any other program that integrates IT and business so well." For Emshousen, the road to success took many twists and turns. At a time when most people his age were wrapping up their college careers, Emshousen was working as a police officer first in Wyoming and then in Alton, Ill. He came from a law enforcement family, so he said it seemed only natural to become a cop as well. He soon realized that he wasn't cut out for that life. By the time he decided to go back to school he was a husband and a father who was working 50 hours a week to make ends meet. As Emshousen explains, "For me, one of the best things about SIUE was how the faculty helps non-traditional students succeed." And succeed is exactly what Emshousen did. Despite the challenges, he graduated in just two and a half years and immediately began work at SBC as a software developer. When he made the move to KPMG, Emshousen felt he had found the perfect fit-a job that allows him to use his education in both business and IT. Emshousen, however, is not about to get complacent. In addition to his job at KPMG, the father of six coaches many sports teams and has high hopes for his other hobby-real estate. And if that's not enough, Emshousen will be returning to SIUE in the fall to start his MBA. When asked how he manages all his different roles, Emshousen simply responds, "As my old sergeant used to say, 'Don't mess with the birds when you are up to your neck in alligators.' You just can't sweat the small stuff." Article originally appeared in the Spring 2007 School of Business CMIS Newsletter.